If you’re a slots fan, PlayCosmo offers you an awesome spins bonus. Make a minimum payment of £20 for the fourth time using the code WELCOMESPINS50A and you will receive 50 extra spins to gamble on Jumanji. Prepare to have tons of fun with this bonus and spin the reels of a highly rewarding and entertaining slot machine! If you desire to cash out, you can do that very easily because this offer comes with no wagering requirements. Your cashout limit is set at £1000. Claim the promotion and enjoy your time! Prepare to be swept off your feet by incredible offers down at PlayCosmo Casino! Make your second deposit of at least £20 and you’ll receive 30 Non Wagering Spins that work beautifully on Starburst. 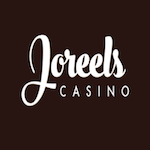 You’ll be able to withdraw your winnings at any given time. Take advantage of this offer until April 1st, 2018. 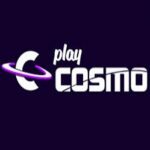 PlayCosmo is the place to be when it comes to great promotions! 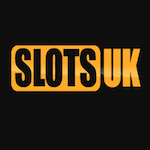 Create an account and make your first deposit of at least £20 in order to receive 20 No Wagering Spins on Starburst. This means you’ll be able to withdraw your winnings at any time. Benefit from this offer until April 1st, 2018. Start playing right away and prepare to win great prizes!